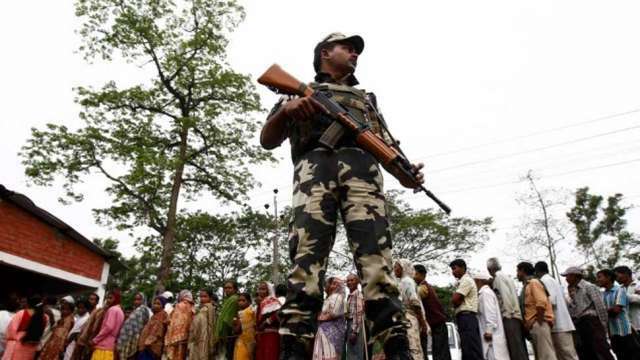 Uttar Pradesh assembly elections 2017: The fifth phase of elections for 51 seats across 12 districts in Uttar Pradesh has been started amid high-security today. Everyone’s eyes on Amethi as it is a stronghold of Congress party and also a Lok Sabha constituency of Rahul Gandhi. The phase will decide the fortune of 607 candidates who are in the fray in this phase with a maximum of 24candidates in Amethi and minimum of six each in Kapilvastu and Etwa seats of Siddharth Nagar district. A total of 1.84 crore voters will cast their vote at 18,822 polling booth today. The districts going for polls are Amethi, Sultanpur, Faizabad, Barabanki, Ambedkarnagar, Baharaich, Shravasti, Balrampur, Gonda, Basti, Siddharthnagar and Sant Kabir Nagar. To encourage a sense of security among voters, the Central Para Military Forces are engaged in conducting flag march. Over 2300 polling stations and 1,600 villages have been identified as sensitive and critical and special security measures have been asked to take in these localities. For webcasting of poll process, arrangements have been made at 1,792 polling stations. A total of 607 candidates including 40 women are in the fray. 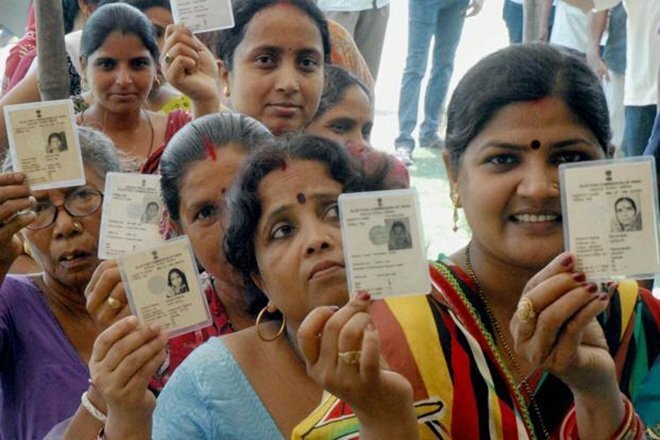 Over on crore 81 lakh eligible electorates including over three lakh first-time voter youth’s vote will decide the fate of all contestant contesting polls for 5th phase. Talking about the party’s candidates fielding in various constituencies, Bahujan Samaj Party (BSP) has fielded its nominees in all 51 segments while the Bharatiya Janata Party (BJP) is in contest in 50 seats. The saffron party has left one seat to its ally Apana Dal. The Samajwadi Party nominees are in fray from 43 constituencies and its ally congress is in contest in 14 seats.